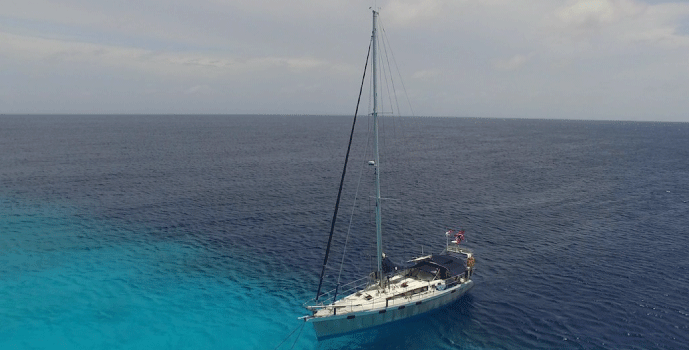 That drones are the perfect way to capture your sailing voyages easily and cinematically from the sky. It seems with every few months a new drone is released better, faster and more equipped than the last. In this article, we’re going to be taking a look at the 5 best drones for sailing, taking into consideration their price, build quality and the features they posses. Why Would You Want A Drone For Boating? Maybe a better question is, why would you not want to capture you epic sailing moments spectacularly from the sky? Or perhaps even show off your adventures from your last voyage. Either way, having a drone will allow you to document your travels in a beautiful and engaging way. Commercial drones today are able to shoot high quality, professional looking footage and photographs with extremely easy to learn controls, aided by autonomous flight modes. It seems quad copters and sailing go hand in hand, so we’ve decided to compile a list of the best drones for boating. What To Look For In A Drone For Sailing? Before we take a look at the best drones for sailing, I thought it would be a good idea to discuss what you should be looking for in your drone. Speed: Obviously if you’re sailing, you’re going to need a drone that can keep up. You don’t want to take your drone off, only to leave it trailing behind in the distance with no hope of catching up. Flight Time: Although less important than speed, the drones flight time will play a major factor in what you are able to record. You can always buy a spare battery or two to increase your time in the sky. Stability: Out at sea the winds can pick up, so you want a drone that can not only handle windy conditions, but comes with a gimbal that will keep the camera steady during flight. Now we’ve gone over what to look for, shall we have a look at the best drones for sailing? The Mavic Air is a new addition to DJI's Mavic range, and is designed for those of use looking for a high quality, yet portable drone. Not too long ago, a drone with these specs would have set your back thousands of bucks and been the size of a small car. Ok, I'm exaggerating on that last part, but they were big. In comparison, the Mavic Air is slightly larger than a smart phone, yet boasts an impressive 21-minute flight time, can shoot in 4k and records at 100MBPS. What's more, if you're a first time drone pilot, the Mavic Air is one of the easiest drones to learn on. It comes with a beginner mode to get you acquainted with the controls, GPS and VPS positioning and despite it's small size, is incredibly stable. It still baffles me how a drone of this calibre is available for less than $1000. 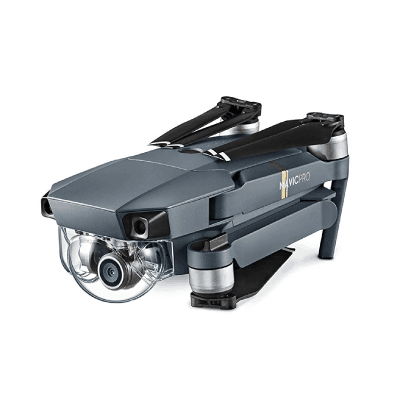 If you want to easily capture stunning aerial footage of your trips on the sea, then the Mavic Air is undeniably the best drone for the job. 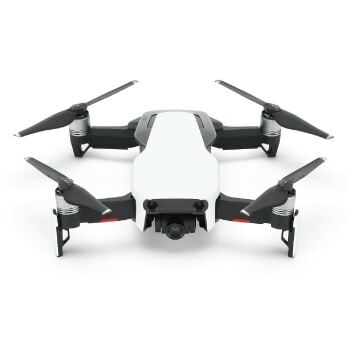 To find out some more information about the DJI Mavic Air, click the button below. The first quad copter on our list of the best drones for sailing is the DJI Mavic Pro. If portability’s an important factor to you, you’ll struggle to find such a high quality drone as portable as the Mavic. 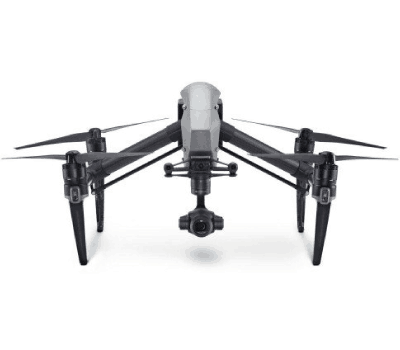 With its rotor arms folded into the body, the total size of the Mavic Pro is 8.3cm wide! This means it can be put into a bag and carried around with ease. Most of the other models on this list will require some kind of specially built carrying case. If you’re thinking that because it’s so small, it can’t be very good, you couldn’t be more wrong! The DJI Mavic Pro is one of the most innovative and advanced commercial drones currently available! Its 3830 mAh intelligent battery provides the Mavic Pro with an incredible flight time of 27 minutes. Also don’t forget you can always buy spare batteries to double or triple its flight time! The Mavic Pro boasts a range of 7km, which can’t be beaten by any other model on our list of the best drones for sailing. In fact, very few drones anywhere can beat such a long maximum range! 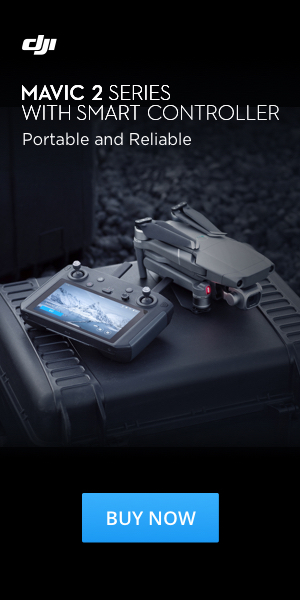 The drones’ camera is able to record 4k in 24fps (frames per second) and 1080p in up to 96 fps! If you’re new to flying, the Mavic GPS precision over and autonomous flight modes will help you have a safe and controlled flight. With autonomous flight modes, even a novice pilot is able to record very filmic looking shots. The Mavic also has obstacle avoidance sensors, meaning that it will detect if it’s about to crash into something and either stop or re-route. Although, out on the open ocean, I doubt you’ll need this feature! In sport mode, the Mavic Pro is able to reach a max speed of 40mph (35 knots), so it shouldn’t have any issues keeping up with you’re boat. The Mavic Pro is undoubtedly one of the best drones for sailing and will provide you with some amazing footage and photographs of your aquatic adventures. 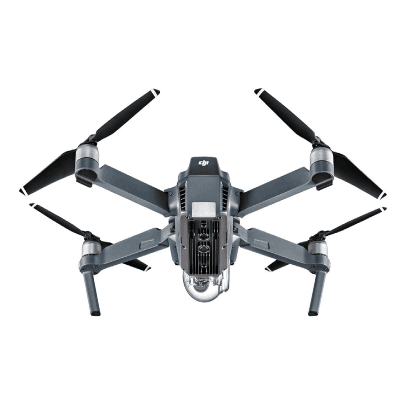 For more information on the Mavic Pro, check out the DJI website. 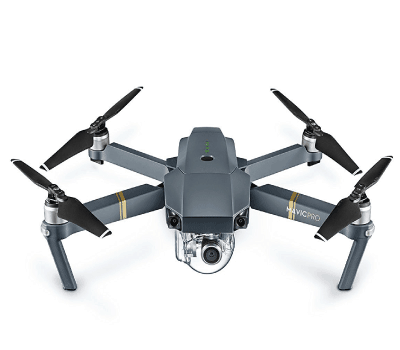 Updated: A new version of the Mavic Pro has been released, call the DJI Mavic Pro Platinum. This new model has a 3-minute longer flight time and is 4 decibels quieter. Read our full DJI Mavic Pro Platinum review here. Next on our list of the best drones for sailing is the DJI Phantom 4, and what a drone it is! First, lets have a look at the Phantom 4s camera. If you’re looking to take some pretty awesome snaps of your boat, the Phantom 4 camera is able to take 20 megapixel photos, which when done right, looking extremely professional. The fun doesn’t stop there! The drones’ camera can record 4k footage in up to 60fps, which is just insane! This allows you to create some Ultra HD slow motion shots that will blow your mind. You can also record in 1080p in up to 60fps. You should keep in mind that if you’re shooting in 4k at high frames per second, the chances are you’re going to need a lot of storage. Make sure to invest in some 64gb class 10 micro SD cards. Similarly to the Mavic Pro, The P4 camera is supported by a 3-axis mechanical gimbal that keeps it stable during flight. Put this beast in sports mode and you’re able to reach a whopping top speed of 45mph (39 knots), so it’ll have no trouble keeping up with you. With a maximum flight time of 30 minutes and a max distance of 7km, you’ll have plenty of freedom in terms of both time and space when flying the P4. As with all DJI Models, The Phantom 4 comes with autonomous flight modes that make piloting the drone extremely easy. What can I say? The DJI Phantom 4 is an incredible feat of engineering that makes it one of the best drones for sailing. Definitely worth checking out if you’re looking for a drone to capture you’re voyages from the skies. The DJI Inspire 2 is by far the most expensive model on our list of the best drones for sailing and it’s expensive for a reason. The Inspire 2 is a professional grade drone that’s used around the world in a wide range of industries. But, what makes the Inspire 2 one of the best drones currently available in the world? Well, there are a number of reasons. Firstly the drone has 2 camera options, the X4S and the X5S, for the purpose of this article we’ll look at the X4S. The X4S can shoot in 5.2k in 30fps, 4k in 60fps and take 20MP photos. 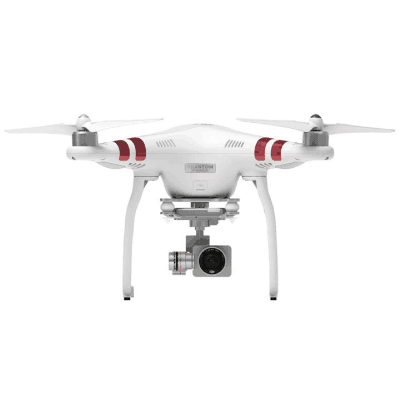 Basically, you couldn’t ask for a better camera for aerial photography and cinematography. 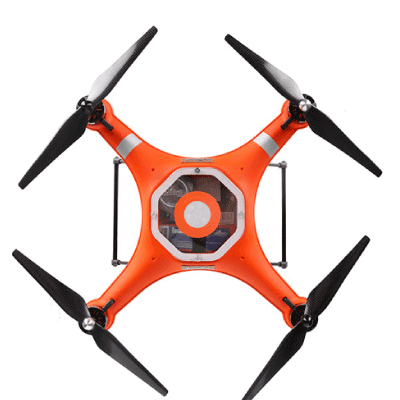 The Inspire 2 is covered in obstacle avoidance sensors. These help protect your hefty investment as they make the inspire very hard to crash. Having said that, if you’re a beginner pilot I wouldn’t jump straight into the Inspire 2, maybe start with something cheaper and work your way up. With all this tech on board the Inspire, it’s flight time of 27 minutes is slightly less than the P4 Advanced, however it more than makes up for this in other areas. It also has a maximum range of 7km, which as we’ve discussed earlier, is plenty of space for recording you sailing activities. With sport mode activated, the Inspire 2 can reach an insane top speed of 58mph (51 knots), so if anything, you’ll be struggling to keep up with the drone! One of the coolest aspects of the DJI Inspire is the fact that you can connect 2 controllers to the drone. One controller is in charge of piloting the aircraft whilst the other transmitter controls the camera. This is great as it allows each user to focus on one aspect of recording, resulting in some amazing looking shots. To say the DJI Inspire 2 is an exceptional drone is an understatement. If it’s in your price range and you’re a confident pilot, the Inspire is easily one of the best drones for sailing. The Splash Drone 3 Auto is one of the most unique models on our list of the best drones for boating. This is due to the fact that it’s designed solely to be used in aquatic situations. The drones’ completely waterproof, meaning that if you’re to accidentally crash into the ocean, you’re drone should be fine. Although you’ll probably have to jump in and get it, which isn’t ideal! Lets have a look at some of the drones’ specs. Unfortunately, as Swell Pro are a relatively new company, their drones aren’t quite as impressive as the DJI Models, however the Splash Drone 3’s specs should be sufficient for recording or photographing your sailing expeditions. 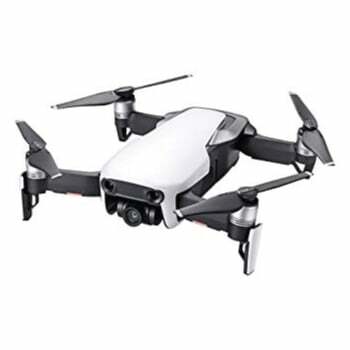 The drone has a respectable flight time of 16 minutes and although this isn’t as long as the other models on this list, should still provide you with plenty of time. If you need longer, grab another battery of the Swell Pro website and you’ll be good to go. 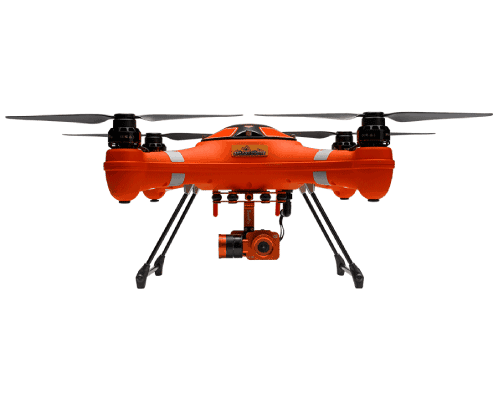 The drone has a maximum range of 1km that should still provide you ample room to fly around. With the Splash Drone 3 Autos IP 67 waterproof camera, you’re able to record 4k footage both above and below the water. The camera is stabilised by a 2-axis gimbal mechanism that keeps it steady during flight. Overall, the Splash Drone 3 Auto is the perfect drone for sailing. Its waterproof build means you no longer have to worry about the weather or crashing into the water. 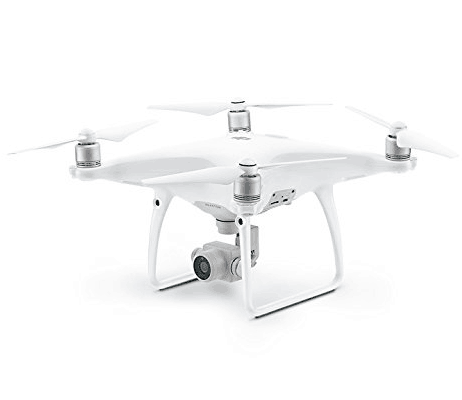 Lastly, but definitely not least we have the DJI Phantom 3 Standard. 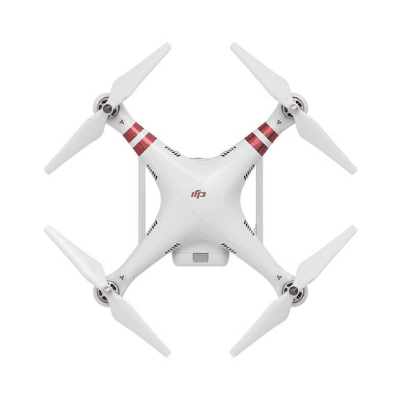 In my opinion, the Phantom 3 Standard is the best value for money drone available today. If you’re looking for an affordable drone for boating, the Phantom 3 Standard is a fantastic option. 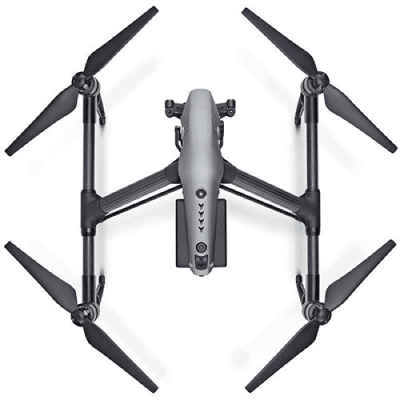 It’s modest price tag paired with a range of professional features that make the drone both easy to fly and able to achieve some incredible looking footage. What you’ve got to remember with the P3 Standard is that although its specs aren’t as good as the other models on this list, it costs less than half the price! The camera can record in 2.7k in 24 fps and 1080p in 60fps, which allows you to get some slow motion shots in full HD! The camera is also stabilized by a 3-axis gimbal that creates incredibly stable footage, even in mild winds. 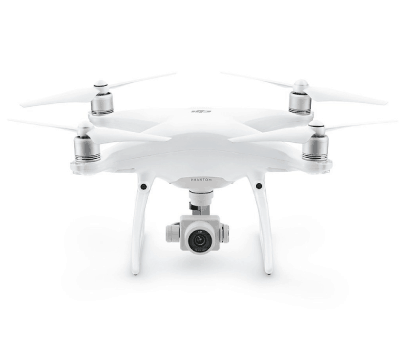 The DJI Phantom 3 Standard has a plethora of autonomous flight modes such as follow me, point of interest and waypoints that make the drone very easy to fly. These modes allow you to get shots that, as an inexperienced pilot, would be difficult to achieve. With a flight time of 25 minutes and a maximum range of 500 meters, the P3 Standard provides plenty of time and space for you to fly in. If you think the range is slightly too short, you can always buy a signal booster online for relatively cheap. The P3 Standard has a respectable top speed of 35mph (30 knots), which should be more than enough for filming your marine activities. What more can you ask for from such an affordable drone? If you’re new to flying and want to test the waters (excuse the pun), the DJI Phantom 3 Standard is a great starting point. 100% one of the best drones for sailing. I hope you’ve found our list of the best drones for boating helpful and insightful. If you have any questions, feel free to comment below and I’ll get back to you as soon as possible. Wow, thank you so much for the article! I’m somewhat of an avid sailor and have been looking for a way to document my travels. I’ve just ordered the Mavic Pro and am eagerly awaiting its arrival. Thanks again for the article, it really helped me out!